Did you know that a domain name has a huge impact on the kind of website (online business) you intend to build? First, your domain name is what makes the web address of your website to be very unique. It’s upon you to make your domain name easy to be remembered by people and also for them to type it easily on the web browsers. You have to choose a domain name that is effective. To help you with choosing a domain name that is effective, I have prepared these tips for you to use. What this means is that the domain name you choose needs to be agreeable with what you intend to offer on your website. You should also include a word on your domain name that gives a hint what your website is all about. This way, whenever a visitor comes to your website, you won’t make him to think what the domain name was. This entry was posted in internet on March 30, 2016 by mimin. Website development can be a waste of time, energy and money if you forget to include detailed planning to go with it. Start an effective development plan for your site today by brainstorming on a goal-oriented web strategy, with realistic objectives and expectations. Here are some website development tips to help you get started. Always use a clean code for your web page. This is the basic element of any project related to the development of a web page. Though a few HTML and browser errors are excusable, you need to set validation standard. Ensure its security by looking at the language that you are using. Multiple security levels for your project can help to save you from unnecessary trouble in the future that can cost money and time. Choose the right framework and technology for your project which is reasonable within your budget and traffic expectation. The latest technology usage is always the smarter choice as it can offer you higher traffic and best outcome for your web project. If you have enough funds, one framework per language is a good choice too. This entry was posted in internet and tagged HTML on January 15, 2016 by mimin. I’m often asked what I regard to being the best approach to take when starting a blog, so here are what I regard to be the most important 3 blogging tips for beginners to consider before writing a blog. The old saying goes “practice makes perfect” and this is certainly the case when you start to write a blog. One thing you need to be aware when you first start out is that, chances are, (if you’re not an already established writer) your first few blogs will not be that great. However the more blogs you write, the better you will become. So the first blogging tip for beginners to follow is to blog daily as this will not just improve the overall quality of your blogs, but will also help your them to rank quicker within the search engines. This entry was posted in internet on December 11, 2015 by mimin. One of the reasons WordPress is so popular with in web designers in Sri Lanka is because using it means it’s incredibly easy to change the look and functionality of your site. Time for a makeover? Just upload a new theme, activate it, and voila! You have a whole new site with all your content and pictures right where you left them. Changing the look of your site might be as easy as clicking a button, but choosing the right theme is not so simple. There are many thousands of free themes available on WordPress.org, and many hundreds more are revealed with a simple Google search. And those are just the free themes. Paid – or premium – themes open up a whole new world of possibilities. This entry was posted in internet and tagged CSS, Sri Lanka on August 16, 2016 by editor. Managing a business is not an easy task to manipulate. One should be careful while dealing with it, if it has to be a stepping stone to success. Fortunately todays’ technology is fast growing and is sufficient to provide help by all means – one of the biggest being ‘web hosting’. It is an easy means to make your website accessible via the World Wide Web. By this all the data related to the company can be put on a server. Nowadays there are several web hosting companies which make it difficult to choose from. There are commercial as well as free web hosting companies. One has to keep in mind a few things while choosing a web host and the most important being disc Space/domain Space, uptime, bandwidth, control panel and support. To start with, this has to be given foremost consideration. For this you should have a clear idea of your needs such as hosting one website or many and the size of files to be chosen. A normal website could work with 50MB space and if the file size goes large it is advisable to have a minimum 100MB space. This entry was posted in internet and tagged World Wide Web on March 23, 2016 by mimin. If you think that web hosting is a load of geek speak then I can assure you that you are in safe hands here. Web hosting is one of the most important elements of building a successful online business and there are a few things you need to know before you decide on which web hosting provider to go with. Space: What amount of space are you requiring? Are you looking at setting up simple one page websites, or are you wanting to develop your own product with audio downloads? I recently put an ebook and audio product together and could not understand why I couldn’t download any of my audio. I was over my disk space and this could make or break your business. *Please note: Keep your files tidy and delete whatever you don’t need because extra files take up valuable space – lesson learnt! Bandwidth: This is the amount data that you are allowed to broadcast from your website each month. Your needs will differ significantly depending on whether you are running basic websites or a complete multi media experience. This entry was posted in internet and tagged PDF, Statistics Good, Subdomains Subdomains, URL on March 15, 2016 by mimin. 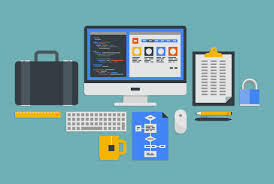 Web development has progressed over the years to become a process that ensures all aspects of web design are met and perfected to meet changing needs. Certain tips and tricks work better than most and are regularly employed by developers to increase a site’s rankings or make it more user-friendly. Websites work best after being optimised. Areas to focus on include tweaking images so they load faster and properly mapping the site to organize it better. These are only a couple, however, and there are numerous other enhancements to be made before a site is deemed truly user-friendly. Just check out this list of useful tips (not related to coding) that all developers can apply. Focus on speed: Why? For the simple reason that internet users have no patience with slow, heavy sites. We’re all running on deadlines and can’t afford to wait for minutes for a page to load just because the elements aren’t properly optimised. Consider that not all internet users have fast connections and downtimes can occur. If the page contained optimised aspects it’ll load a lot quicker and save users precious time. This entry was posted in internet on March 5, 2016 by mimin. This entry was posted in internet on February 28, 2016 by mimin. This entry was posted in internet and tagged Think Long Term on February 19, 2016 by mimin. Every entrepreneur and business investor is looking to invest in an online enterprise and bring home profits that have become almost folklore among the E-commerce community of late. Now, the first of the stepping stones to building a great website that rakes in profits is to hire a professional web development company that can offer the precise, efficient yet affordable range of web development services online. With the huge number of E-commerce website development firms catering their services online, it might seem fairly easy to look up one firm and choose to hire a PHP developer from their ranks. However, it is not as rosy a world as it seems! Hiring a PHP programmer is much more complex, especially when going through a professional web development company’s personnel. Here are 5 tips to choose the ideal website development services from an e-commerce web development firm without compromising on either of the fronts of quality and budget demands. This entry was posted in internet and tagged NET, PHP, SEO, Specialization Matters on February 10, 2016 by mimin. Online web development is a crucial part of every website and without proper web development it is quite natural that your website would not run properly. Therefore like any other aspect of your website you must also pay emphasis on this part as well. If you plan to develop your own website, you should follow these tips. These tips would definitely help you to bring forward proper development of your website and at the same time would also bring you good ranks in the search engine. However, the major thing that you should remember while you go for online web development is that you should not use any kind of black hat techniques. The search engines have special ways by means of which they can detect the use of the wrong techniques to get good ranks. Consequently, your site might get better ranks in the search engine but after a point of time, you would be penalized. This would definitely bring you huge losses. This entry was posted in internet and tagged Adobe Dreamweaver, Adobe Fireworks, CSS, SQL on February 5, 2016 by mimin. Firstly always bear in mind that design of your site should be simple and professional. Design should be such that it impresses the visitors on their first visit. Images on your site should be crystal and clear but still small enough to allow for fast loading. This entry was posted in internet on January 22, 2016 by mimin. There were times when blogging was limited up to content and still images only, but with the improvement in technology, people has started adopting the more convenient ways to gain information regarding what they often seek through the Internet. This attracts the attention of business owners to adopt video blogging for making their blogs more convenient and powerful in all the aspects. On the World Wide Web, you can find plenty of platforms where you can broadcast your videos. These are paid as well as free platforms. It is not always necessary to broadcast the videos on paid platforms. This entry was posted in internet and tagged World Wide Web on January 8, 2016 by mimin. This entry was posted in internet on January 1, 2016 by mimin. When you are looking for blogging tips you have to know where you can find them. Blogging is a great way to make money and if you use the proper strategies you can make sure you are always making money online with your blogs. Many internet marketers have decided to start with blogging and many just make their entire online income from blogs. Blogging is very popular and you need to make sure you are going to use the right type strategies to make the money you need to make. Finding blogging tips is not hard to do and you just need to know where to look. There are many places to look online and you can find the blogging tips you need below. Even though you really need to post to your blog at least one time a day and the more you do the better, they still have to be quality posts. You cannot just throw up a few hundred words and hope to make cash. Instead you have to put up posts that your readers can use and will find to be very helpful. This entry was posted in internet and tagged SEO on December 28, 2015 by mimin. This entry was posted in internet on December 19, 2015 by mimin. Using social media to market a business is not easy most especially if you haven’t used it for any reason. It would take some time for you to know the ins and outs and you have to take things seriously. You have to read books and if needed, ask for help. To make things a bit easier for you, here are some beginner tips that you can ponder on. • Take things little by little. You might have heard people who became successful in the use of social media to market their businesses. Well, these people had worked so hard and that they had spent a considerable amount of money before they reached the top. If you would like to be like them, you have to start from the bottom and that is by creating your profiles on different social media accounts. Take a look at the different sites and then select those that you are comfortable with or those that have been proven to help. This entry was posted in internet on December 1, 2015 by mimin. Everywhere you search these days, you are going to find plenty of advice about everything you need to know to be successful with social media. Most of that advice is tried and true and just as valuable today as it was before. Other tips, however, are in need of retirement. Not every rule that applied at the start of social networking is still going to be relevant today as you work to market your business online. You Must Post Every Day! This entry was posted in internet and tagged RSS on November 30, 2015 by mimin. One of the distinguishing factors between highly successful businesses and those that are simply afloat in the marketplace is whether or not they have included a social element in their business model. If you want your business to be truly successful then you’ve got to come down from the ivory tower and mingle with the groundlings. Today’s social media tools such as Google Buzz and Twitter enable companies to establish a comprehensive business experience for their customers. And the greater the degree of interaction, the more you’ll fortify your business against changing market trends and stiffening competition. Think of it in terms of building a bunker around your business-each element that you incorporate into your business which supports a more inclusive experience for your customers adds another brick to your bunker, creating a bust-proof business. Read through these money making social media tips to see how you can achieve lucrative longevity for your business. This entry was posted in internet and tagged Copy Cat, Create Interaction on November 15, 2015 by mimin. One of the things I really like about blogging is all of the doors it opens up for various kinds of social media marketing. What I mean by that is you should do more with your blog post then just publish it online and wait for readers to find you. Here are six blogging and social media tips you can follow that work well together. 1. Bookmark your post. Get it into social bookmarking sites using Only Wire to bookmark your post into numerous social directories with one click. This is going to take a little bit of time to join the various directories, but it’s time well spent in the long run. Every time you bookmark your post using Only Wire you are exposing it to literally thousands of new readers, as well as creating valuable backlinks for search engines to find and follow back your blog. 2. Create a video. Once you’ve bookmarked your blog post take the blog article and create a video of it. Use a program such as Animoto to create a slide series video you can upload into even more social directories. You can even upload them directly to You Tube which Google really likes. This entry was posted in internet and tagged URL on November 10, 2015 by mimin.